If you have ever had to make a copy of a hard disk you will know how inconvenient it is. Having to attach the hard disk to your PC and then find a suitable application to perform the copy is time consuming and ties up your PC. 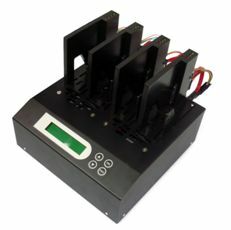 ADRs range of hard disk duplicators provide the perfect solution with a straightforward menu driven system that allows you to copy and erase data from your hard disks. Ideal for IT departments and as a measure to ensure any of those old hard drives are properly erased before they are re-used or recycled. 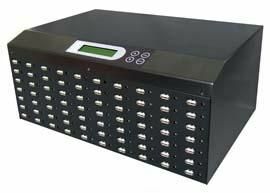 With its 90MB/second the transfer rate of the Professional-IT hard disk duplicators can copy large amounts of data rapidly. You can also select what you copy: A single partition, just the data or the whole drive. Designed for heavy use, the SATA connectors are user replaceable thus prolonging the life of a system with a heavy duty cycle. 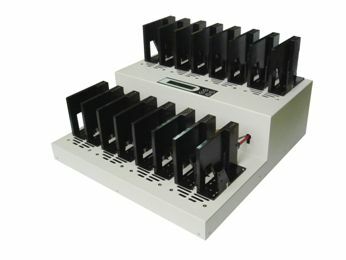 You can also purchase IDE-SATA converters to allow you to deal with older hard disk drives here.